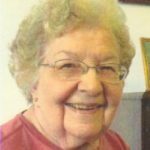 Veronica Burko, 89, of Carbondale, died Thursday at the Forest City Nursing Center. She was the widow of Joseph Burko who died November 23, 2005. They had been married for 55 years. Born on May 8, 1929, in Browndale, she was the daughter of the late Michael & Anna Warhola Verib. 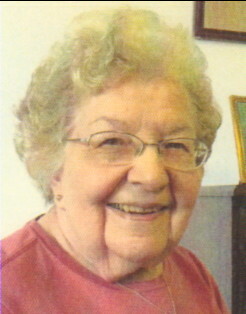 She was a graduate of Forest City High School class of 1947. Veronica was a member of Sts. Peter & Paul Greek Catholic Church, Simpson and was employed by many local dress factories, retiring from Riverdale Mfg. Co., Carbondale. She lived most of her married life in Simpson before moving to Carbondale in 1994. Surviving are a sister, Elaine Prince, Virginia, two brothers, Joseph Verib, Parma, Ohio and Michael Verib, Avon, Ohio, several nieces and nephews, including Marie Rouilliard, Archbald, who has been her caregiver over the years. She was preceded in death by three sisters, Mary Sosnowski, Helen Wirts and Bertha Verib and a brother, George Verib. As per her request there will be no public visitation. A funeral with Divine Liturgy will be celebrated on Monday, October 15th at 10:00 AM in Sts. Peter & Paul Greek Catholic Church, 43 Rittenhouse St., Simpson by the Rev. Myron Myronyuk. Interment will be in St. Anthony’s Cemetery, Forest City. Arrangements are by the Joseph W Scotchlas Funeral Home, Inc., 621 Main St., Simpson.